Create a functional and luxurious repertoire with our collection of men's Musto gloves, hats and scarves - a desirable range of impeccably crafted items that will set you up for whatever the weather or activity. GORE-TEX crafted gloves with wrist supports, articulated fingers and reliable grip panels are the most sophisticated of designs, perfect for heavyduty tasks such as outdoor work or sailing. Invest in your style credentials with lovingly crafted woolly fingerless gloves and matching beanie hats to keep the cold temperatures at bay in style. 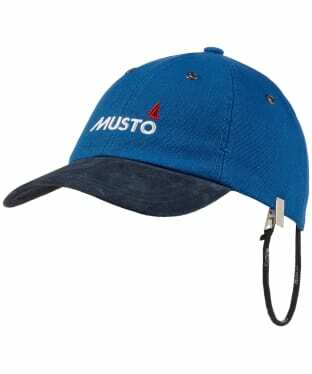 Or if sporting a dashing hat is your thing then look no further than Musto's enviable collection of baseball caps, visors and trapper hats...all infused with this brand's commitment to outstanding quality and reliability. Wrapping up against the chill of winter needn't be a problem with stretch fleece gaiters, cosy snoods and fleeced neck tubes - all stylish and handsome pieces that keep you expertly warm. 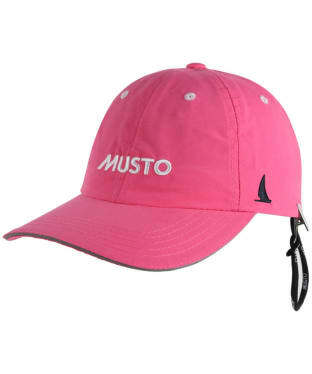 The Men's Musto Clay Shooting Cap is ideal for any summer adventure with its vibrant colours for the upcoming warmer months. 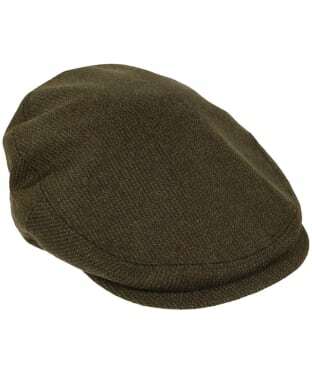 The adjustable back means it can up adjusted to suit you for a more comfortable wear. 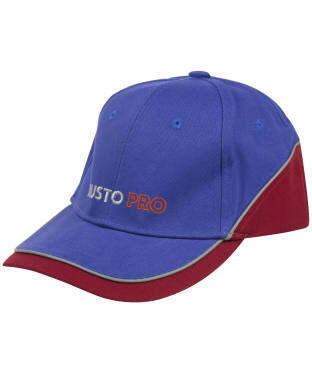 The cap includes a mesh cushioning around the brim of the hat for added comfort and breathability. 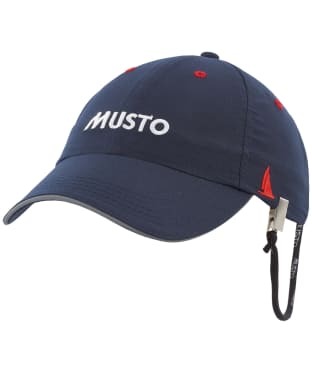 The Musto branding embroidered to the front of the cap for added attention to detail, the perfect choice for warm summer days outdoors. 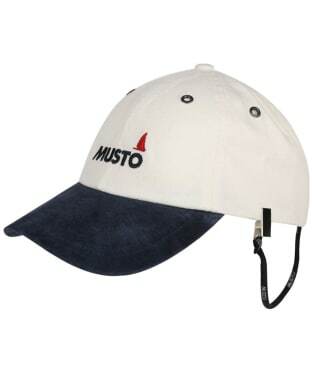 A classic cotton canvas cap for sunny days, this Musto Evo Canvas Crew Cap is comfortable and durable thanks to its robust cotton construction. 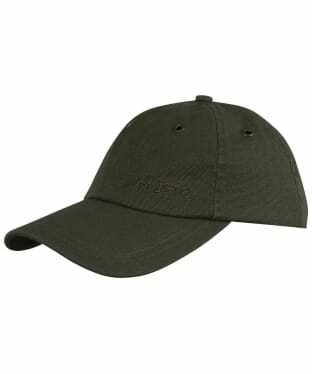 With a curved peak to keep the sun from your eyes and shield your face from harmful UV rays, the Evo Crew Cap also features eyelets to allow ventilation. The rear strap can be adjusted to suit your requirements, with a retainer clip for keeping the cap in place during blustery weather. 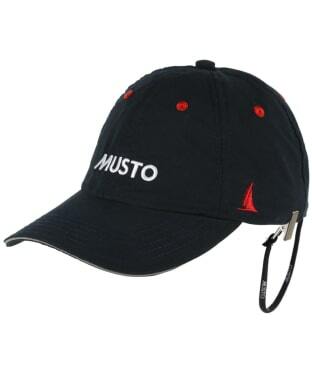 Boasting specialised UV capabilities for enhanced wear, the men's Musto UV Fast Dry Crew Cap is not your everyday item of headwear. 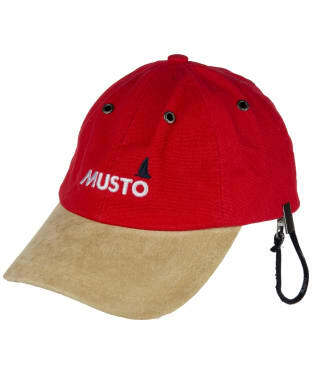 Crafted from a soft fabric that feels superbly comfortable to wear, it has been specially treated to a UV protective coating that also doubles as a fast-drying textile for a seriously high-performance accessory, whether you're on deck, on-shore or trekking up a mountain. 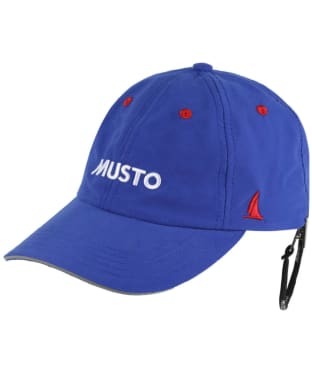 The classic design boasts the signature Musto embroidery branding to the front with a peaked cap that boasts a reflective piping to the edge. A hood retainer clip is a nifty design spec - ensuring you can be fully protected in unpredictable weather, whilst the customised fit is enabled by a rear adjustment. 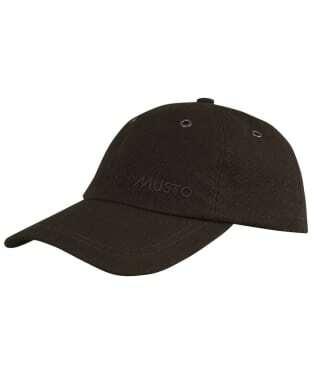 Packed full of details, the UV Fast Dry Crew Cap is a necessity for the outdoor explorer.